Earlier at CES 2017, Dell impressed folks with their XPS 13 2-in-1 featuring an edge-to-edge display, but they have something for their business users too. 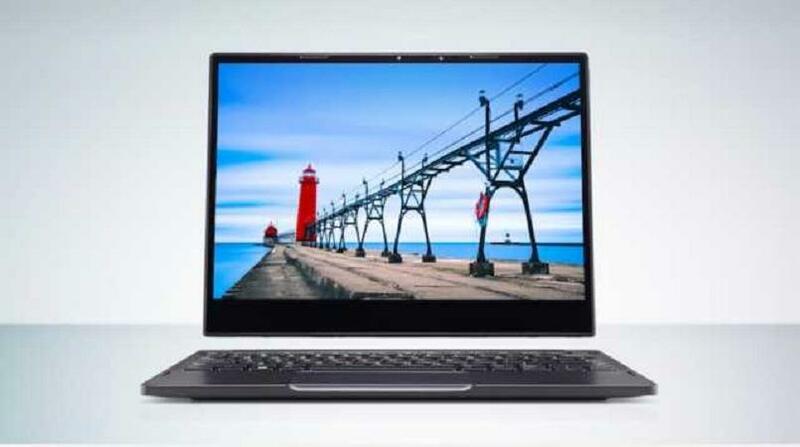 There is another 2-in-1 hybrid machine known as Latitude 7285. It has something more to offer than detaching its display unit and transform into a tablet. It is the world’s first laptop to feature wireless charging, a tech mostly seen on smartphones and wearables. Dell managed to cut the cables by partnering with the WiTricity Corporation, a company working on magnetic resonance-based wireless charging solutions for devices. The wireless charging tech is built into the keyboard base of Latitude 7285 which requires WiGig dock to enable charging without wires and also streaming content to an extended display at the same time. There is an interesting story related to how Witricty came into existence, you might want to read it. There are two other keyboard units (without wireless charging) available alongside the wireless charging one. One packs a complete keyboard and adds extra battery juice of 4 hours. Another one is slim and light, aimed at enhancing the portability of the device. At the DELL EMC World event in the month of May, Dell will talk more details about Latitude 7285 2-in-1 which is scheduled to launch in June. Currently, there is no word on the pricing of the device.